Add extra value – This module looks to understand how sales professionals can focus on consistently adding real and lasting authentic value to their prospects and customers, building engagement, connection and long term sustainable, mutually beneficial relationships. Three magic words for sales greatness – This is a comprehensive look at crucial role played by research and preparation before every sales call. We guide the sales professional to build a profile on the organisation, the individual and how they can add real value to them. This is done in a very systemised fashion. Build your Personal Billboard – This is a module designed to discover, interpret, communicate and market the sales professional’s personal billboard or “Personal Brand”. This is where I teach the sales professional different Personal infomercials to engage with their customers and prospects. My personal infomercials are the next generation “elevator pitch” and instead of broadcasting, they engage with the prospect and get them to want more. Breaking out of a sales slump – This is a very inspiration, systematic approach towards optimal use of the sales professional’s available time. 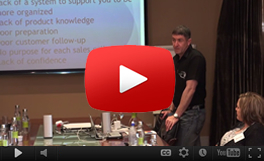 I teach a simple approach to, improve the level of focus, prioritisation and use of the sales day. Your combination lock to sales success – This is where I teach the sales professional to use Lynchpin questions to engage with prospects, eliminate objections, identify risk and ultimately close more sales. Lynchpin questions are engaging questions, that the competition is not asking, which force the prospect to stop and think and reveal their concerns, needs and desires. Networking for success – The support you get from an effective, carefully chosen support network will make succeeding as a sales professional feel effortless. We will teach you very effective skills, which will allow you to easily network and form successful supportive relationships with people, who will help you succeed as sales professionals. It will feel like you have a travelator under your feet, speeding you along the path of success. Mutually beneficial connection with the right people is the catalyst, which will accelerate your ability to achieve all your sales goals and dreams. Sales Success Habits – This is a simple, yet extremely effective approach, in which we first work to identify the perfect daily sales routines and then using various techniques I have developed, we turn these into sales success habits. The best measure of how well I have achieved this, is indicated when sales teams say they have smashed their sales targets, but they don’t feel like they have worked any harder, in fact they feel it was easy. Remove Risk and close more Sales – I am sure that you want to achieve and even exceed your sales targets this year. The way to make this possible for you, all starts with you choosing to no longer sell products or services to your prospects any longer. I am sure that sounds crazy, how can you achieve your sales targets, if you stop selling the very things you need to sell to achieve your desired sales targets in the first place. In this module we teach you to move your focus from products and services and instead focus on people, their specific needs and how to neutralize any perceived risk they may be experiencing instead. Effectiveness – You will be guided to identify, prioritize and carry out the right sales activities each day. Efficiency – You will be taught a system to leverage the maximum from your time, so that you can efficiently perform all the right sales activities each day. Activity Management – We will guide you to manage your sales activities and leverage the maximum from you unique circumstances. Energy Management – We will help you to maximize your energy and get the most from your day. Self-Management – Learn to create new sales routines and then convert these into a success habit set. Effective Planning – We will guide you to stimulate effective work habits, through focus and planning. Understanding the concept of relationship building as a sales tool for building partnerships with clients. Exploring my clients and prospects – how well do I know them? Understand how we function best – How can I use my natural strengths to generate sales and build relationships. Building power routine to support my selling efforts. Creating a unique customised activity management system to help you manage the right sales activities. Understanding why you sell and creating a crystal clear sales vision for the future. Identifying the right daily sales activities needed to succeed. Turning goal setting into goal achieving. Turning your personal and organizational purpose into sales value. Accumulate real value with your sales efforts and discover long-term sustainable selling success.